We have an exceptional team starting with our friendly reception staff and following through to our caring, professional and gentle team of dentists and hygienists. We are all about prevention and encourage you to use all of our services to achieve a healthy and beautiful smile. Our services at Strathpine Dental Centre range from general dental through to preventative treatment and cosmetic dentistry. Our dentists use the best techniques to treat your oral needs to ensure your visit is as stress and pain free as possible. Our hygienists are also specialised in children’s therapy and are focused on diagnostic, therapeutic and preventive ways to support total health and the control of oral diseases. They work in collaboration with our dentist’s to determine the appropriate treatment procedures for each individual patient and assure best practice in providing safe dental healthcare and positive oral health outcomes. Strathpine Dental Centre is located in the heart of Strathpine, serving our local and extended community. 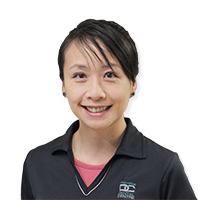 Dr. Denise Lim is the Principal Dentist at Strathpine Dental Centre and ensures we offer high standards of dental services in a conservative and ethical manner giving strong emphasis on preventative dental care. There’s nothing scary about this dentist! 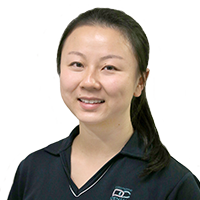 This bubbly little kiwi, Dr. Angela Gao, is the smallest of our team who graduated with first class honors from the university of Queensland. 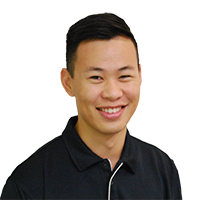 Dr. Ong is a graduate from the University of Queensland. He enjoys practicing in all aspects of general dentistry with a particular interest in oral surgery. Dr. Phang graduated from The University of Queensland. 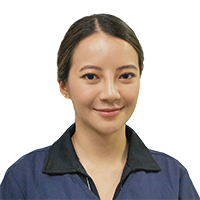 Her passion is people — she is very friendly and easy to approach with her enthusiastic personality, which makes patients feel at ease. Dr Tuazon completed her Bachelor of Dental Science at the University of Queensland in 2008. Cynthia enjoys performing all aspects of general dentistry and strongly believes in the prevention and conservative management of oral diseases. Angie attended Central Queensland University in Rockhampton where she obtained her degree in Bachelor of Oral Health. 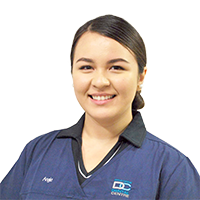 She works closely with the dentists at Strathpine Dental Centre to provide a wide range of dental care. 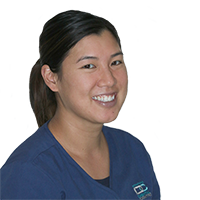 Angie can perform adult restorative and hygiene procedures of all ages to a high quality.